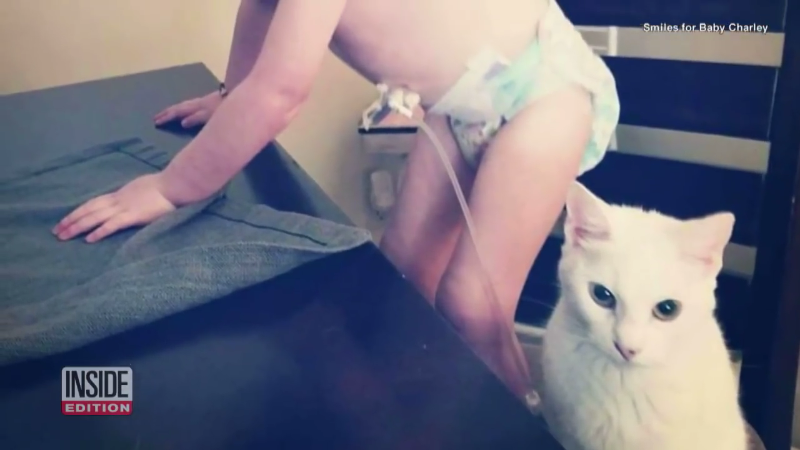 After a white cat went missing, her owner, a 4-year-old, blind girl who is battling brain cancer, was missing her dearly. 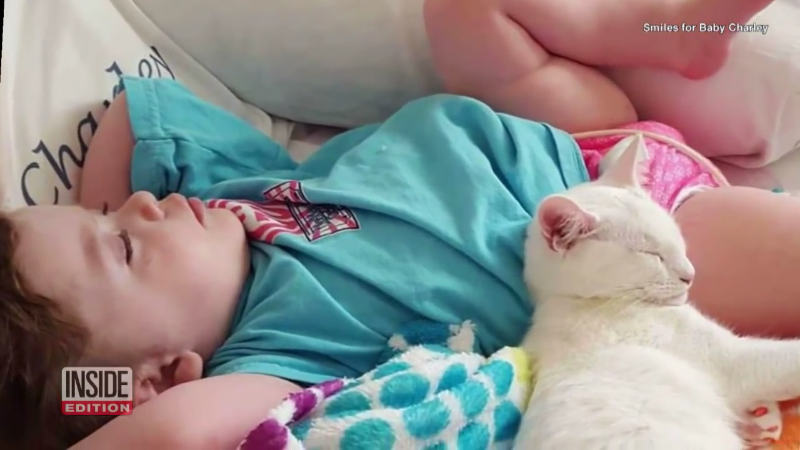 Three months passed before the family saw a photo of their white cat in a stranger’s arms. Charley, a 4-year-old girl of Pensacola, Florida, was diagnosed with brain cancer when she was 3 months old, and underwent brain surgery at 1 year old to remove most of the tumor. The surgery, however, took away her vision. “It’s not easy, but we do the best we can do,” her mom, Heather Howell, told InsideEdition. Then, two years ago, the family found a white cat that was only a few weeks old hiding in a parking lot behind their apartment complex, and took her in. The cat, later named Angel, quickly became close with Charley. 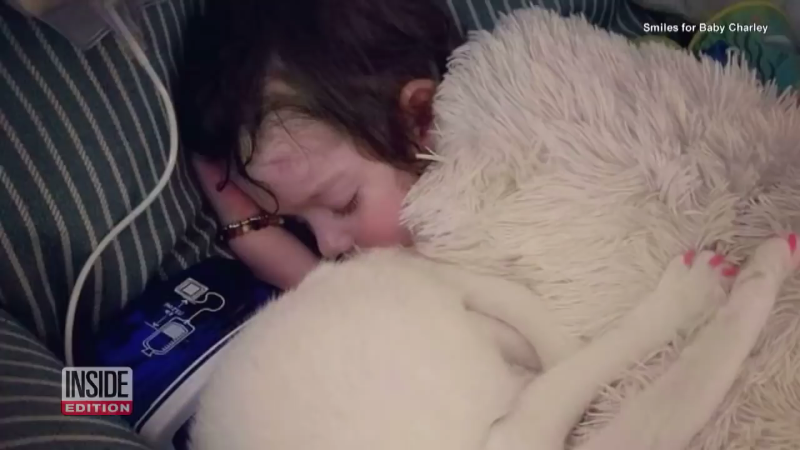 But in September, when the family opened the door to load groceries, Angel took off. After Angel went missing, Charley continued to call for the cat. Though they had gotten another kitten, they did not give up on finding Angel. The family kept in contact with local shelters and also posted information about the missing cat on their Facebook page, Smiles for Baby Charley. 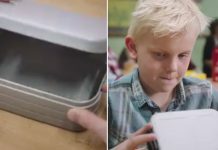 The Facebook post was then widely shared. 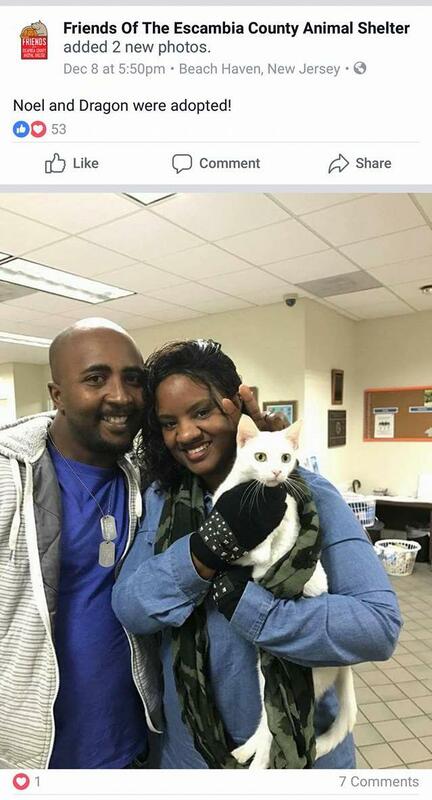 Months later, a friend told them of a Facebook post showing Angel in the arms of her new owners. Howell guessed that someone might have taken Angel in for a period of time before handing her over to a shelter by the end of November. 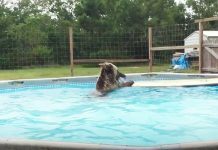 Fortunately, the supporters of the family’s Facebook page helped Howell get in touch with the new owners, the Hilliard family, who lived just minutes away from Howell. 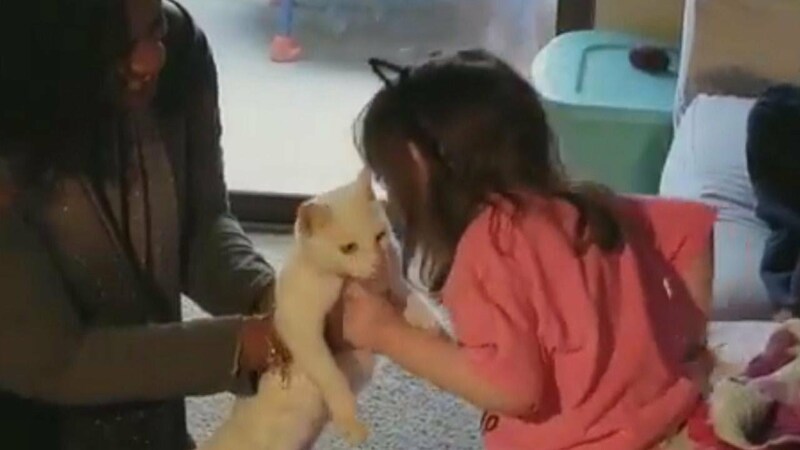 When Vanessa Hilliard learned of Angel’s story, she called Howell immediately and later took the cat to the family for them to check if it was Angel. 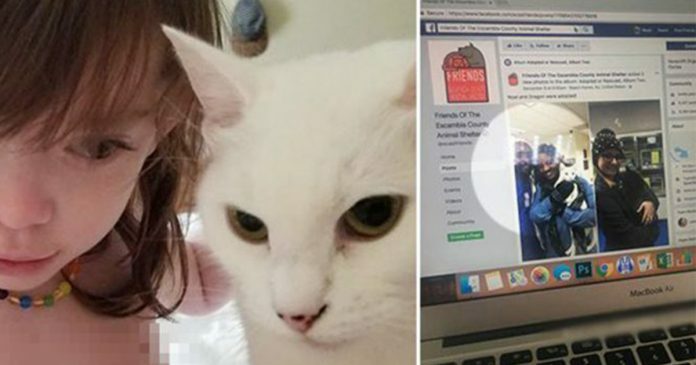 “I was like, ‘I hope this is her cat.’ I cried on my way to her house. It was so sad. We were connected to Angel quickly,’” Hilliard said. “I believe if anyone was in our position or predicament would’ve done the same thing,” Hilliard told 3WEARTV.com.